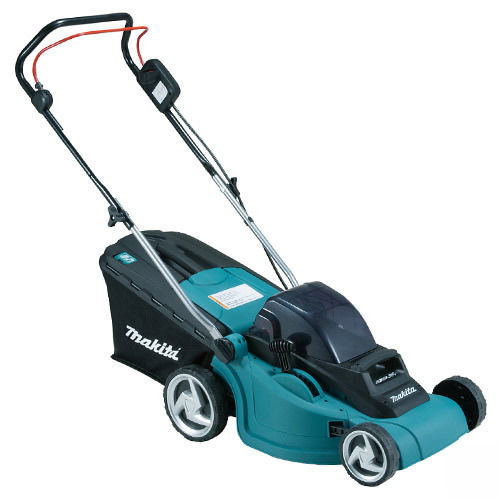 Makita DLM380Z 2x18v (36v) Cordless Lawn Mower. This Makita DLM380Z is powered by two 18v Lithium-ion batteries in series to supply eneregy to the powerful 36v DC motor drive system. This mower has high maneuverability and evironment-friendly. 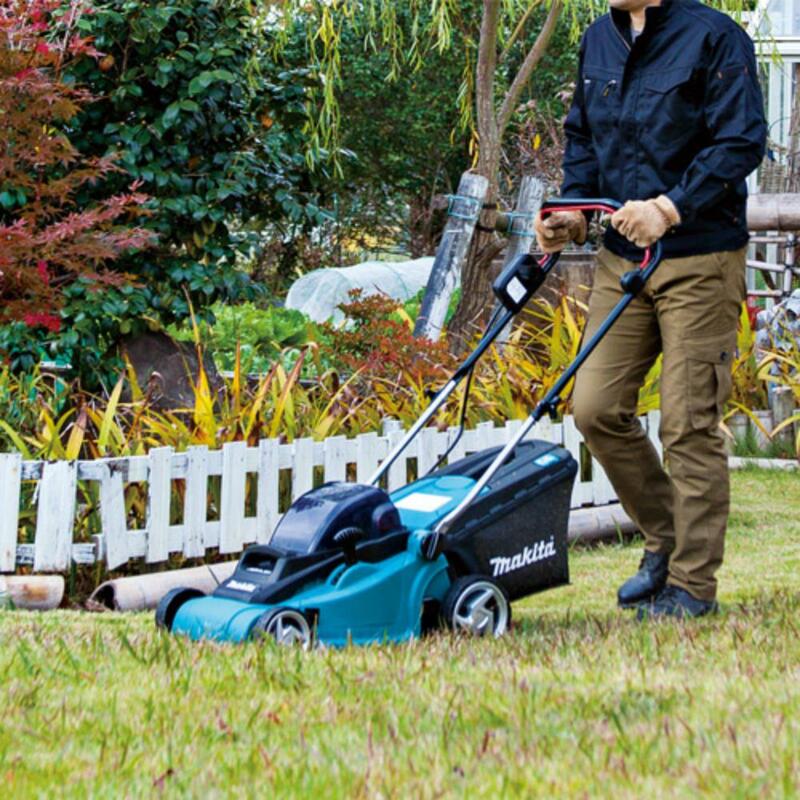 This mower holds up to 40 litre of grass collection and features 38cm cutting width as well as a 6 setting height adjustement and carrying handles. The DLM380Z is supplied as a tool only unit and has no batteries, charger or case making it the ideal way to build up an existing Makita 18V kit. Batteries and charger are available separately. 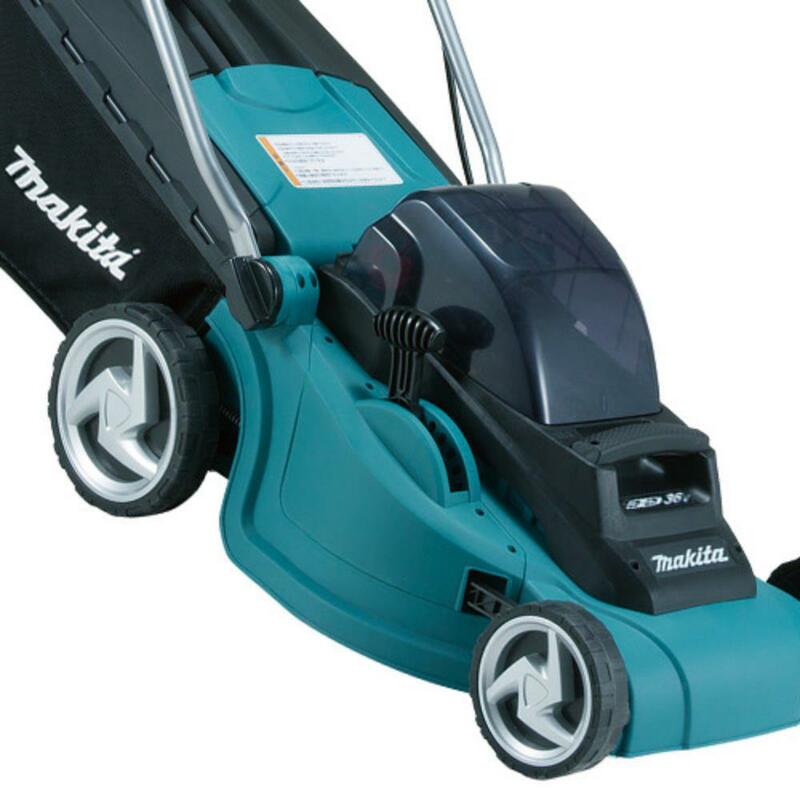 "tried my lawnmower out today and it's brilliant, I use all makita cordless so already had batteries that go with my impact and combi drill set, I've got 100m2 garden and it flew through it, I have a large lxt set so not really surprised how good this is but I recommend it very highly."